Joy Campbell painting a day: "House Shopping"
"House Shopping" is a revised painting. 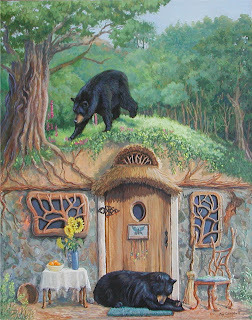 I originally painted this for the cover of a children's book. It had a young girl and her pets on the roof. 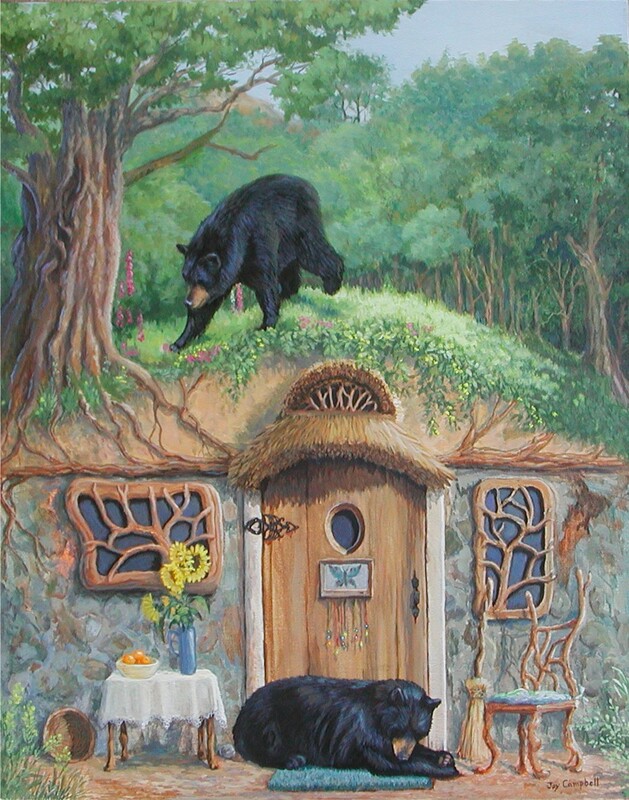 I do prefer it with the bears as I'd like to have this house in my backyard and it would be fun to have bears visit.